Why would a young, seemingly happy newlywed, married for only a year and a half, all of a sudden come to the conclusion that "marriage isn't for me"? It's hard to wrap your head around. But the more you read Seth Adam Smith's recent blog post that sent the Internet into a tailspin within 24 hours of being published, the sentiment, which at first seemed alarmingly harsh, suddenly melts away into an overwhelmingly heartfelt and touching admission. "Having been married only a year and a half, I've recently come to the conclusion that marriage isn't for me," Smith, 27, of Bradenton, Fla., writes in his first line. However, the way his post was first interpreted was not what he meant. "I'm going to make this really simple: marriage isn't for you," he continues. "You don't marry to make yourself happy, you marry to make someone else happy. More than that, your marriage isn't for yourself, you're marrying for a family. Not just for the in-laws and all of that nonsense, but for your future children." The elaborate love letter-like post, which has been viewed on his website, ForwardWalking.com, more than 25 million times, was never intended to hurt his wife, Kim, whose love, he tells GoodMorningAmerica.com, is "sacred and personal," but rather, to "make something poetic for her," by helping others realize one very important paradox about love. "I feel so strongly that our relationships are greatly improved when we take the focus off of ourselves and focus on the happiness of someone else," Smith explained. "It's a beautiful paradox that blesses us." A true marriage, Smith writes, "is never about you." Instead, "It's about the person you love-their wants, their needs, their hopes, and their dreams." "Selfishness," he says, "demands, 'What's in it for me?,' while Love asks, 'What can I give?'" The newlyweds had recently gone through a rough patch when Kim's intense focus on her graduate studies forced them to relocate to Florida, ultimately causing Smith to begin withdrawing from his wife, a defense mechanism he now regrets. "Honestly, it was a capstone to a lot of things I had been learning recently," Smith said of his post, appropriately titled "Marriage Isn't for You." "It was a cathartic experience. Writing is a way I cement what I learn, whether it's personally or publicly. We had recently gone through this really rough patch, and it was what we had both learned coming out of that experience that was so beautiful." But some readers have still questioned Smith's overall remarks, second-guessing his idea that love is only about the other person in the relationship. "Obviously real, true love does stem from loving yourself and who you are first, and for that love to grow, it has to go beyond you and extend to those you love," he explained. "In my mind that was implied, but in hindsight, some people needed that spelled out." Although Smith still faces criticism from some readers arguing his post is "too idealistic," he takes it all in stride, hoping, if nothing else, that he's at least helped his newfound audience acknowledge the "beautiful paradox" he believes true love encompasses. 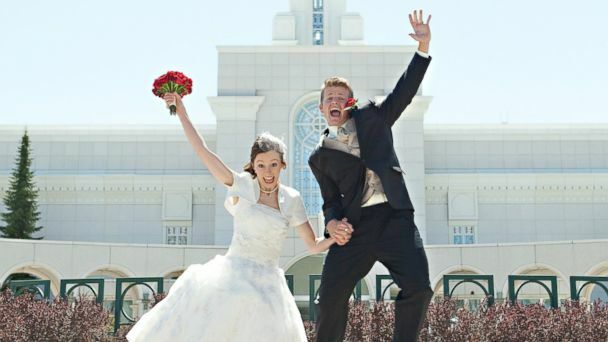 "When we enter into marriage, you become more of yourself as you learn to love more people and use your talents to express that love for others," said Smith. "The more you love a person in a true way, not in a co-dependent way, your own identity comes out. And that is truly a beautiful paradox."